In French, the word ‘guerre’ means war. 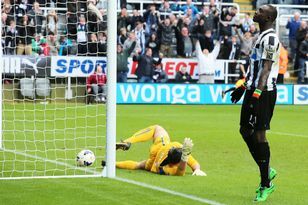 For Newcastle United, Guerra usually means a battle as well. This week, eagle-eyed Magpies might have noticed quotes attributed to Moussa Sissoko’s agent implying the France international is “open to all options” with regard to his Newcastle future. The man given the title of Sissoko’s representative is one Frederic Guerra, a so-called super-agent whose influence and network in France spreads far and wide. So far, so anxiety-inducing for Newcastle fans already uncertain about the make-up of their midfield next season. But the plot thickens when you scratch the surface, because the man who The Journal understands to have day-to-day responsibilities as Sissoko’s agent is not really Guerra but another agent back home in France of Malian background. The man in question also has Cheick M’Bengue, a former Tolouse team-mate of Sissoko’s, on his books but Guerra steps up on Sissoko’s behalf because cross-country transfers are never really that simple. You see, Guerra is one of a small band of agents who qualify as being very, very well-connected. His client list – which includes Loic Remy, Clement Grenier, Mo Diarra and former Magpies man Olivier Bernard – is impressive, but it is presumably the people he knows at football clubs that sees him engaged time and again by top clubs like Newcastle. A British-based agent explains the situation to The Journal: “There are lots of agents in football and the impression that people have is that they’re all earning lots of money doing these huge deals, but the reality is quite different. The way it works is that when you operate in France, a player can issue you with a mandate to work on their behalf. That gives you the right to talk to a club and say you’re acting on behalf of so-and-so, but what you often find is that the player has given the same mandate to about 15 other agents. The clubs laugh you out of the building because your mandate is worthless. It is purely speculative, but that industry insider reckons that Guerra mentioned Sissoko because someone will have expressed an interest in him. Most likely a Paris Saint-Germain or Monaco, he reckons, and that could be the beginning of a process that Newcastle know only too well. United skate a thin line with these super-agents. Guerra also represents Lyon’s Alexandre Lacazette, a striker Newcastle would love to recruit. But at the moment, the wage demands and fees are blocking that deal. It may sound like a confusing story – and it is – but it is also one that drills right to the centre of why working in France, Spain, Germany and Switzerland can become a laborious and fruitless pursuit. Take Remy Cabella, for example. Newcastle want him, he wants to join: Montpellier accept that he may well be on his way. United have a desire to sign off the transfer quickly but Cabella doesn’t have an agent, in the traditional sense. Jorge Mendes – Cristiano Ronaldo’s representative – wanted to sign him up a while back but it fell through. So his dad Hector acts on his behalf and every agent under the sun claims they have got a mandate to push through the deal. Actually doing it, you suspect, will require some stealthy work on the part of Newcastle’s stream-lined transfer team. This is a confusing and contrary world but it is one that Newcastle – until last season and the nightmare-turned-reality of Joe Kinnear – tend to work extremely well. 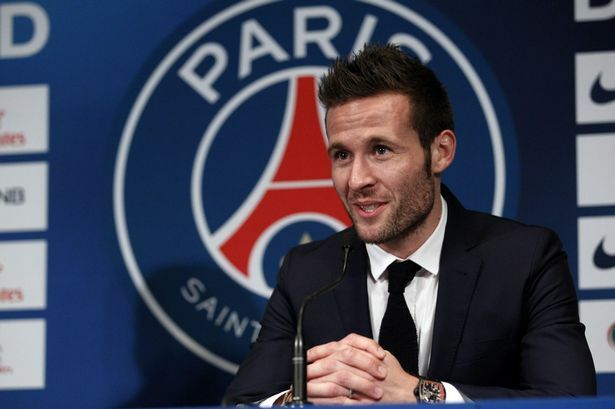 That might sound ridiculous given the number of sagas that they seem to become embroiled in (think Mevlut Erdinc, Bafetimbi Gomis and Mathieu Debuchy’s on-off transfers from summers past), but think of the way they pinched Yohan Cabaye for a song while others dawdled. Newly-appointed managing director Lee Charnley is not someone who courts publicity. He’d rather his name didn’t appear in print if truth be told, but he is happier in these circles. Working out of the spotlight, he is someone who has clinched these deals before and he understands the parameters of Mike Ashley’s frugal business plan. He knows the owner holds every penny to account, so the deal has to be just right. Papiss Cisse was his handiwork and it is a transfer still talked about in revered tones at St James’ Park: United having snuck the Senegal striker into Tyneside under the radar and got him inking a deal before any other club, agent or hanger-on could try to hawk him elsewhere. That was old-fashioned hard work and contacts, Graham Carr having picked up on Freiburg’s willingness to sell to balance the books. Within a few hours he was on a flight to Newcastle and in a United shirt. It was close to perfection. The early indications are that without Kinnear, United are making more progress. They courted Spanish agents last month and have moved quickly to tie up Ayoze Perez. There is a long way, and a lot of work, to do yet but if the new signings start to roll in, you’ll know that Newcastle’s networking skills have been repaired.